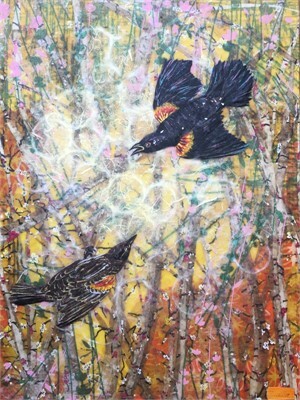 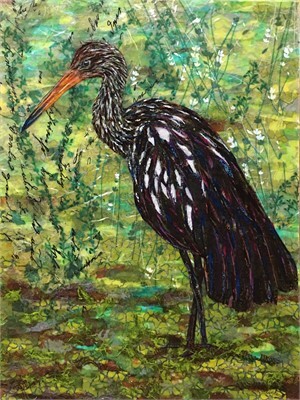 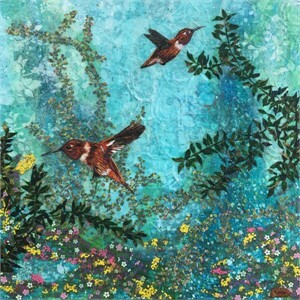 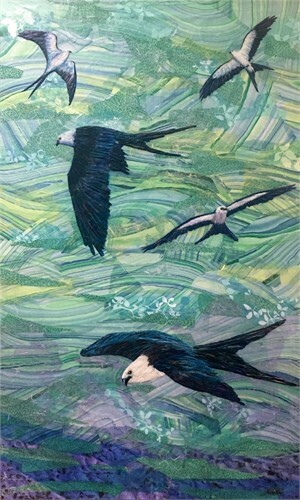 FINE ART COLLAGE BY ATLANTA GEORGIA ARTIST, LAURA W. ADAMS Adams creates scenic landscapes that depict the forests, mountains, wildlife and wildflowers of the world. 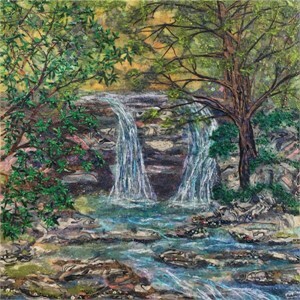 She often concentrates her subject matter on the beautiful rain forest region of Western North Carolina, near the areas called Big Ridge and Slatten Creek. 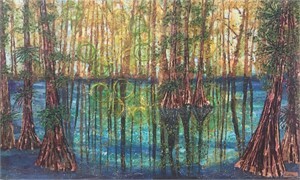 She also finds inspiration in the natural places around her home in Georgia, and from places traveled. 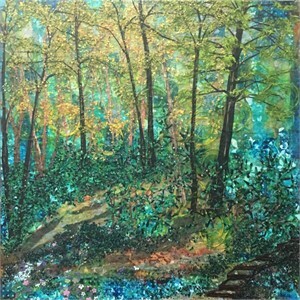 Her recent work has evolved into displaying wildflowers, wildlife and forest scenes in an idealized, and often allegorical, environment. 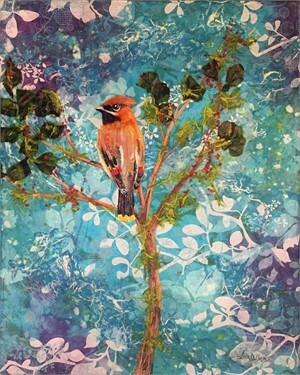 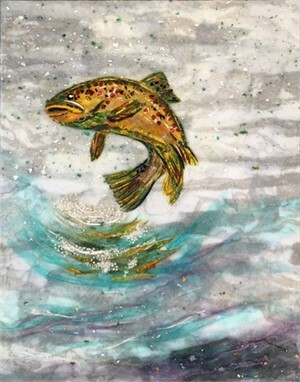 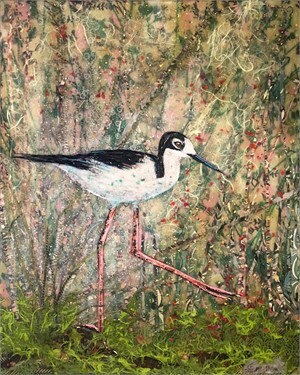 The source material used for her collages include found items from nature, textured papers, painted papers and exotic patterned papers that have been cut up, layered, and adhered with acrylic medium. 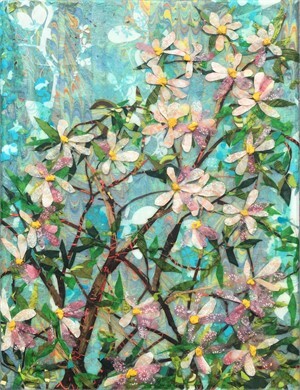 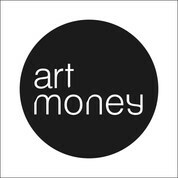 Often, ten or more layers of material are used to create a single work. 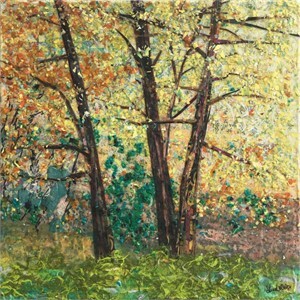 The result is a “painting” with a distinct, three-dimensional effect.